The notice was put in place in March 2014 after cryptosporidium was detected in the water supply. A BOIL WATER notice has been lifted in Co Roscommon after two-and-a-half years. In a joint statement released by Irish Water and Roscommon County Council today, customers on the North East Roscommon Regional Water Supply Scheme were told that the boil water notice issued in March 2014 has been lifted with immediate effect. It was put in place after cryptosporidium was detected in the water supply. People can now resume normal use of the water supply for drinking, food preparation and brushing teeth. Irish Water said it invested €800,000 in installing a temporary water treatment plant at Lisheen Lake to deal with the issue. “This a temporary solution for the interim period until such time as the permanent water treatment plant is commissioned and fully operational,” the company said in a statement. Irish Water and Roscommon County Council would like to thank the general public for their patience, cooperation and assistance during the period of the boil water notice and greatly regrets any inconvenience caused to householders, the farming and the business communities. Local TD Michael Fitzmaurice welcomed the news, saying he will work to make sure “a permanent solution takes place as soon as possible”. 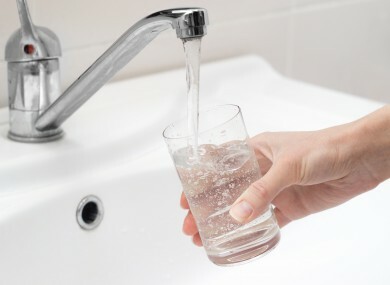 Email “Boil water notice lifted in Roscommon after 2.5 years”. Feedback on “Boil water notice lifted in Roscommon after 2.5 years”.